It’s been an interesting year. Social media is awash with all the awful things that have happened, the people we have lost, the success or failure of democracy (depending on your perspective), the war in Syria and many other awful events. It’s true, 2016 has had some pretty appalling moments, but here at St.Emlyn’s we try to remain positive. For us 2016 had many more highlights than low points and once again the team was priviliged enough to teach, learn and share what we we can with colleagues around the world. 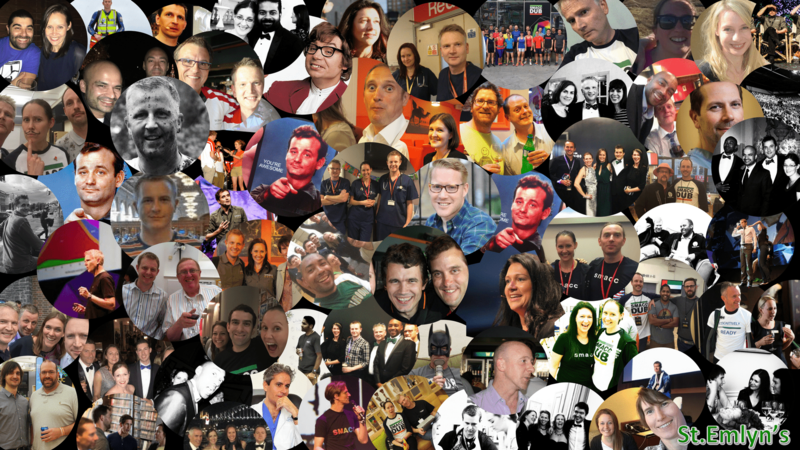 This is just a small selection of the amazing friends and experiences that the #FOAMed world has given us. As we look forward to another great year in 2017, let’s share a few thoughts. Best thing you did this year in medicine? I’ve had an incredible year in prehospital and retrieval medicine in Australia (more about that soon). 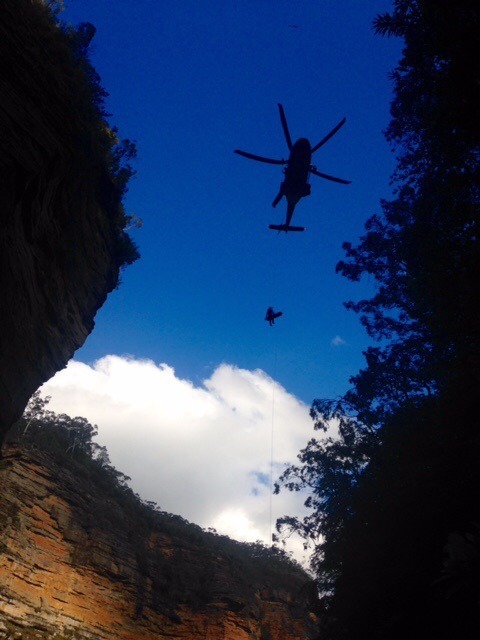 As for the best thing – a 250ft winch in the Blue Mountains! Terrifying at the time but actually seriously awesome as an experience. Flying up Sydney Harbour, past the Opera House and over the Harbour Bridge comes a close second. 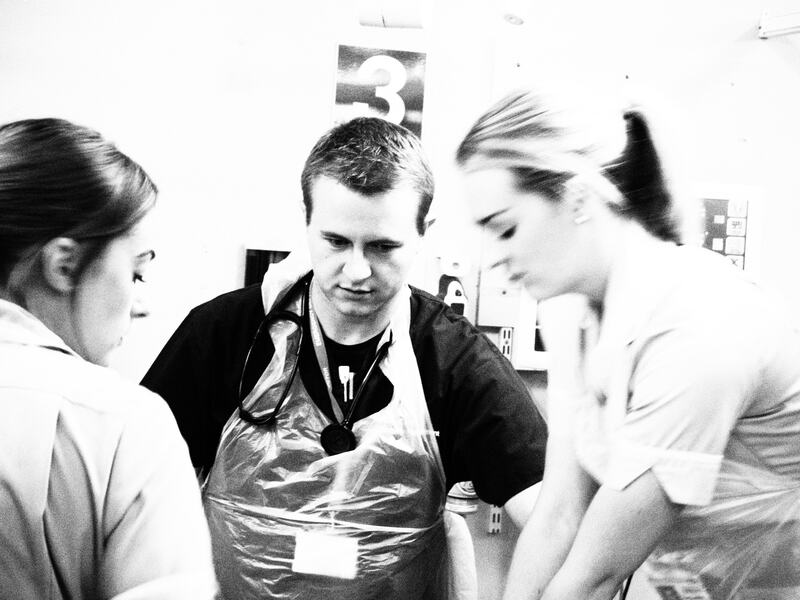 As a clinical experience, the Sydney HEMS induction is amazing1 – I’d recommend getting a place on it if you can. Best thing outside of medicine? I have had some absolutely amazing experiences this year but the most awe inspiring was standing outside in the Megalong Valley on a clear evening in silence apart from bush noise, staring at the Milky Way and counting the shooting stars. Best conference and why? Since being a member of the SMACC organising committee is a bit of a COI, I’m going to vote for the New South Wales Medical Education and Training Conference. It was a fantastic experience being part of a specialty and discipline-wide conference (even if I could only make one day of it! ), learning about the education and training system and structure in New South Wales. I was really moved by the opening and welcome to country (which acknowledged the traditional owners of the land) and the opening address, made by a junior doctor of Aboriginal descent. For me it has been a year for thinking about the way that culture shapes medicine and medical training2. Best paper and why? It was great to see our paper on gender representation at EM conferences3,4 in print at last! An important subject and hopefully a meaningful contribution to discourse on the topic – you can read the blog posts5,6 about it here and here. What book should everyone read in 2017? I’ve mainly read fiction this year – I enjoyed All The Light We Cannot See (by Anthony Doerr). What are you hoping to achieve in 2017? Right now I’m enjoying not really having a plan (although I always have some sort of a plan!). I’m looking forward to finding a way to balance my love for Emergency Medicine, Paediatric EM, medical education and some prehospital care, maybe a PhD in medical education – and figuring out where in the world to do it all… I’d also like to run another half marathon a little faster than the last two. Tell me something else. It’s just over two years since I received an email out of the blue from a mad American called Ashley Liebig. 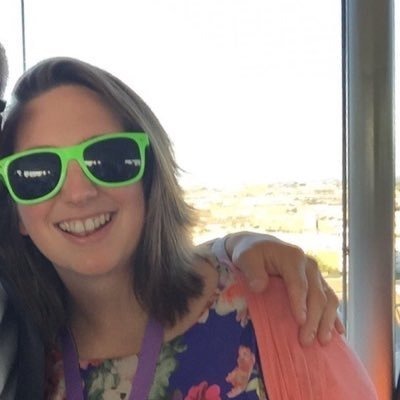 I’m so pleased we now have Ash, Liz and Laura contributing to St Emlyn’s on a regular basis and that they are a part of my life in a wider way too – fantastic women, brilliant role models and wonderful friends. Best thing you did this year in medicine? Being promoted into the role of clinical management in my organization has been both wonderful and exhausting. I knew I would be challenged but never imagined how much. Orchestrating training, reviewing documentation and managing a wide array of personalities has proven to be the most difficult time in my career. I thought about quitting for a moment. I didn’t think I was up to the task, I thought I would fail. Then I recalled the wisdom of Max DePree who wrote my favorite book Leadership is an Art, he writes, “But to be a leader means, especially, having the opportunity to make a meaningful difference in the lives of those who permit leaders to lead.” I changed my focus, it’s not about me, it’s about them, it is about empowering, motivating and caring for my staff. It’s about clearing their path so that they can be the exceptional clinicians that they are. Best thing outside of medicine? Every single day with my incredible daughter. She is exceptional in every way. Teaching her (and also learning from her) about the world, about life and humanity is an awesome privilege and honor. Best conference and why? My bias is strong here, but SMACC obviously. It’s like nothing else I’ve ever experienced. There are not words to describe the energy and love there. A close second, is the Irish EMS Gathering7. Small conference of 200+ that subscribes to the concept of “learning with leisure”. It is wonderfully organized, with fantastic speakers and a lovely way to see Ireland. What book should everyone read in 2017? Thanks for the Feedback is a fantastic book written as “How to” for the receiver of feedback rather than from the traditional perspective of how to give feedback. What are you hoping to achieve in 2017? I think I will work on my strategy to run for President of the United States…..why not? Tell me something else. My real wish for 2017 is that we, as a global community, can take a look at ourselves. Reflect on our history, from where we have come and realize that hate and anger have never conquered, nor will it. It may win a battle here and there, but a true victory? Never. There is a goodness in people that will always prevail, there is always hope, there is always beauty, there is always love. My hope for 2017 is that we will have the courage to face injustice, that we will practice forgiveness and kindness, that we will love one another. Where there is darkness, there is always light and may it shine brightly on you in 2017. Best conference and why? The Teaching Course in New York was, by far, the most enjoyable. Great people in a great city. A fabulous few days. I can’t wait for San Francisco in 2017. What book should everyone read in 2017? Chocolate Mousse for Greedy Goose. Which animal are you? What are you hoping to achieve in 2017? To be better at all the things I promised Liz I would try to do on our wellbeing podcast. Tell me something else. On average every person in the UK throws away their own body weight in waste every 7 weeks (a rubbish fact). Best thing outside of medicine? Getting married!! Best paper and why? Fairly niche but – Adenosine, lidocaine, and Mg2+ (ALM): From cardiac surgery to combat casualty care — Teaching old drugs new tricks10. What are you hoping to achieve in 2017? Cracking on with my research and hopefully complete some experiments! Tell me something else. I need to do more running. Best thing you did this year in medicine? Continued to educate, teach and train. I received an amazing number of thank you cards for this, and as I regard myself as fairly average and an imposter most of the time, to be appreciated is both truly humbling and motivating. Best conference and why? I really love the EMEC. It’s a really well run, trainee focussed, good value conference. Scott Carrington puts a huge amount of work into it and gets some amazingly passionate speakers, one of whom even managed to keep me interested through a talk about helicopters and PHEM. And as we all know, helicopters are for W@n£&~$! (feel free to edit). What book should everyone read in 2017? I quite liked “More Time to Think” by Nancy Kline. It’s yet another of these books about making organisations better and more focussed and releasing your time from what other people want you to do and focussing it on what you want and need to do. 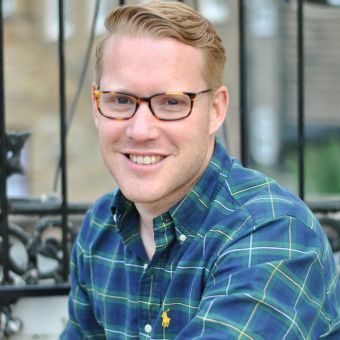 A shoutout to 2 (non-medical) blogs as well: Farnam Street and Tom Attlee’s Co-intelligence blog, both of which are helping me to work smarter and better. What are you hoping to achieve in 2017? I’m going back to University to do another Masters, this time in Medical Education. I’d like to really get my priorities right and teach and train more, both internally and externally. 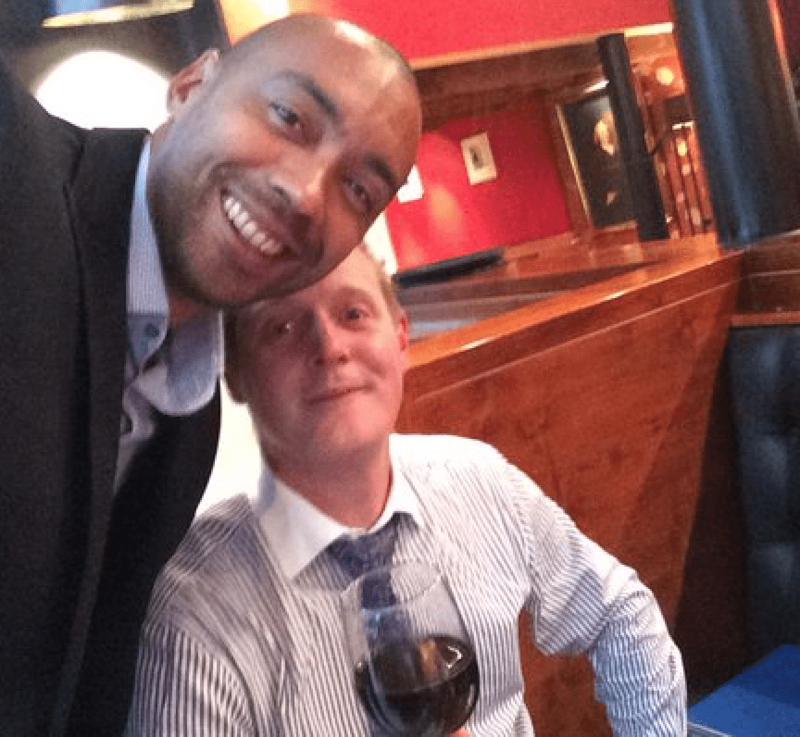 I’m keen to collaborate, both in my own trust and externally, to make patient care better. I need to write more and have been working on systems to support this. I’m also learning how to say “no” effectively and to really nail this will be a useful tool. Tell me something else. Nowt else to tell. Will teach for cake! Best thing I did in Medicine this year? Very proud to keep bring asked to medical and nursing conferences including anaesthetics and surgical conference this year. Also very proud of helping bereaved parents, staff and families deal with some of the most tragic circumstances you can imagine in PICU. Finding time and space for families to grieve, supporting organ donation and making space for everyone to cope with the sadness and distress. 2016 undoubtably had some of the most challenging clinical days of my career and I’m proud to have been there to help. Best conference and why? 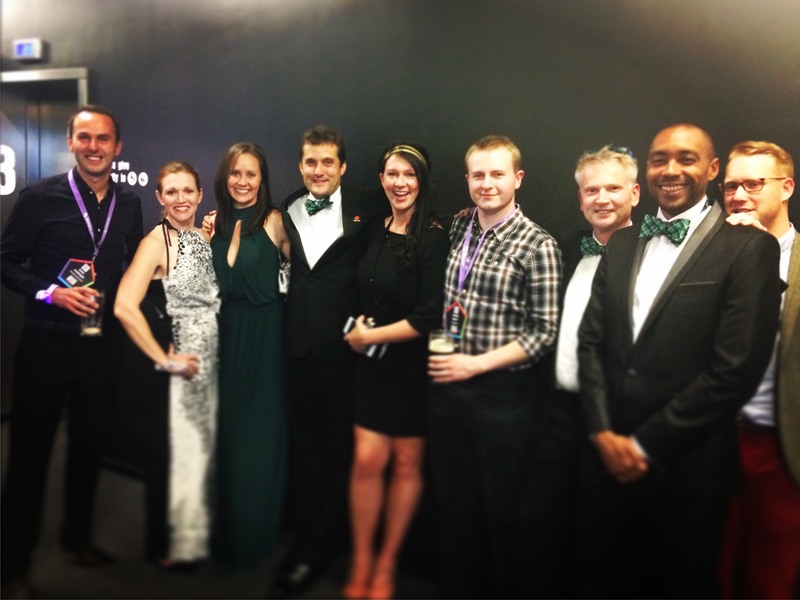 Funnest conference was absolutely SMACC mainly because of you guys. 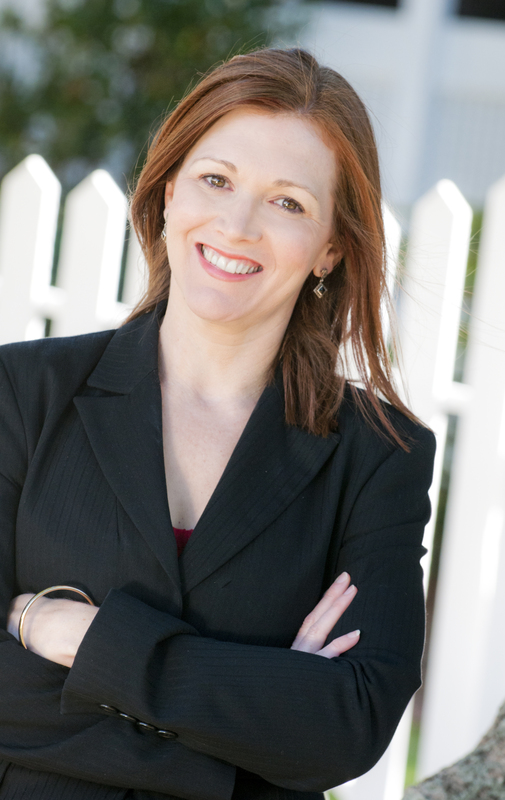 The best education I received was a 3 hour workshop with a lawyer who specialises in industry obligation to employee wellbeing – fascinating and thought provoking. It literally has changed my life because I was stressed because I was always so time poor- I still am however I manage my energy now to maximise outcomes. Complexity Leadership Theory: Shifting leadership from the Industrial Age to the knowledge era by Mary Uhl-Bien, Russ Marion and Bill McKelvey (2007). What are you hoping to achieve in 2017. Hoping against hope to finish my PhD though it may kill me and have several publications at least accepted. Hoping the above won’t affect my family or my fitness and I don’t have to go to Berlin as a fatty bomba. Tell me something else. I want to learn pole dancing and Spanish and write a funny fictional novel. Best thing you did this year in medicine? Thanks to some great teaching at SMACC by our own Ross, I made a relatively niche diagnosis of malrotation in a baby only a few days old. They went on to have surgery and are now doing great. It’s probably been the most memorable, and most life changing thing I’ve done in medicine so far, and certainly a patient and family that I will remember for ever. Best thing outside medicine? I love travelling and seeing new places, and I love music and was heavily involved at university. This year I combined the two with a week in Prague with my old music society (and a few other doctors who haven’t quite grown up yet). We had a great week of sight-seeing combined with putting on concerts for the locals. Some of us former students put together an impromptu small choir and performed a selection of songs which we used to sing as students. It was a wonderful week and great to see so many old friends. Best conference and why? 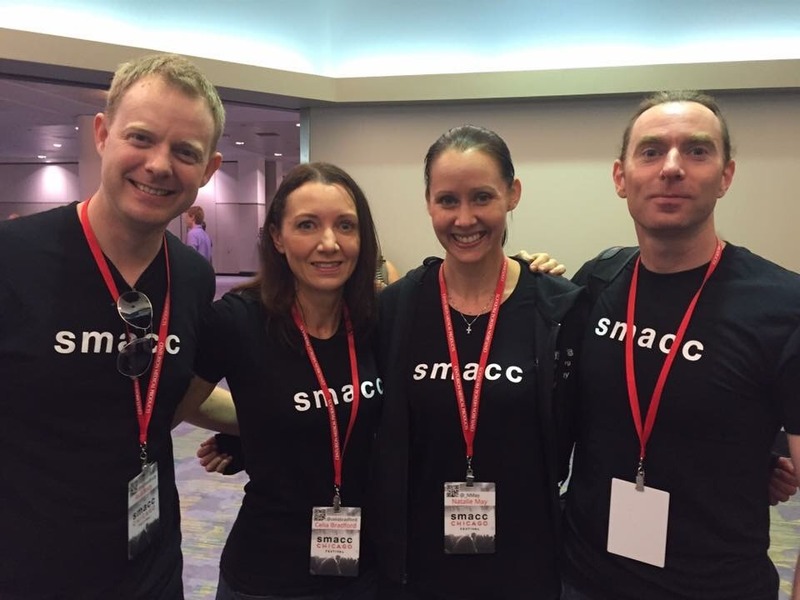 For me, SMACC was a showcase of what a great conference can be. Fantastic talks, networking, social events and exceptional speakers for the most part. It was also a chance to get to know the St.Emlyn’s team better and meet our international members for the first time. The workshops before the conference had a huge impact on my clinical practice and I felt it to have been a very worthwhile conference for me personally and clinically. Best paper and why? I love subarachnoid haemorrhage (though I wouldn’t really want one), and so I like to keep my eye out for any juicy papers that might help us to make better sense of how we risk stratify and investigate our patients, and which ones we can send home. This analysis by Carpenter and team11 looked at the whole gambit of history, examination and investigations, to determine how accurate various components are and which factors make it more likely that the patient will have had a haemorrhage. Hopefully we are getting much closer to a decision rule that will stand up to testing. What book should everyone read in 2017? The House of God, by Samuel Shem. It’s an oldie, it’s a classic, and the truths of 1978 still hold up today. If you haven’t already read it then you definitely should, and if you have already read it, read it again. It’ll give you a lot to think about the way you practise medicine and interact with colleagues. What are you hoping to achieve in 2017? My plan is to dual train in emergency and intensive care medicine, and in 2017 I’ll be applying for (and hopefully be successful in getting) my ICM training number. Outside of medicine, I will continue my aim to be more fluent in French, but maybe I will actually do it this year. The team have inspired me to start running as well (or at least talking so much about running that I’m starting to dream of it…), making this top of my to do list, with the aim to sign up for a 5k run in the first half of the year. Tell me something else. In a pan, combine 175g chopped pitted dates with 45ml honey, 30ml lemon juice, 10g plain flour and 120ml water. Bring to the boil for a couple of minutes and keep stirring until combined and thickening, then take off the heat and leave to cool. Meanwhile, mix together 125g self raising flour, 125g soft brown/demerera sugar and 150g oats with 175g melted unsalted butter in a bowl until it comes together. Flatten half of the oat mixture into a square cake tin, spread the date mixture on top then sprinkle the rest of the oat mixture on top and flatten carefully with a spatula. Bake at 190 celsius for 20-25 minutes until golden on top and still just soft. Leave to cool, cut into squares and eat. Best thing you did this year in medicine? Actively pursuing a career in Emergency Medicine and designing my own research projects have to be the two best choices I made this year! Data collection for my wellbeing research has been an absolute privilege, listening to the stories told by my colleagues was an honour. I am so grateful for the opportunity. It shows that passion is all you need to get research underway! Best conference and why? 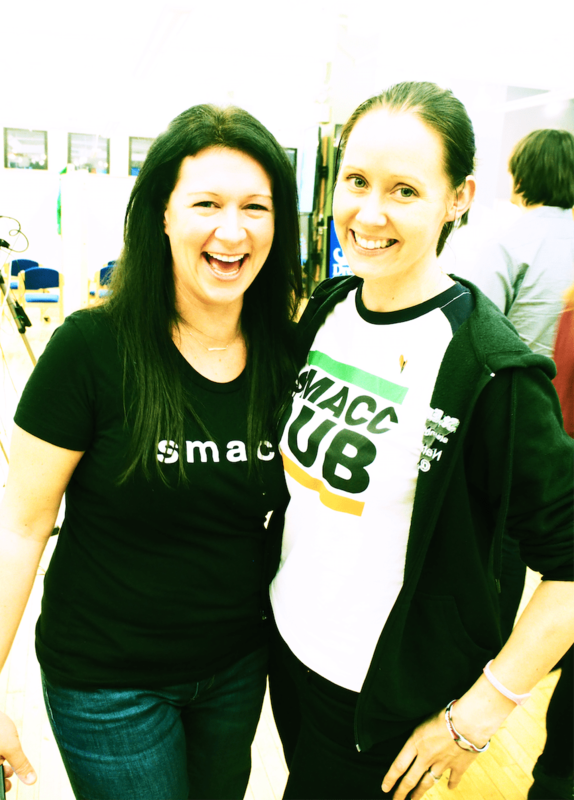 Getting to meet all my Twitter heroes (@mjslabbert) at SMACC has to be a highlight, I learnt so much at the pre-conference workshops, I would happily go to a weeks worth of conference workshops! Best paper and why? The research that has been the most game changing in my clinical practice has to be: Rapid Exclusion of Acute Myocardial Infarction in Patients With Undetectable Troponin Using a High-Sensitivity Assay12. Chest pain is part of the bread and butter of the emergency department, so this along with the TMACS rule13 for enabling change to every day practice. What book should everyone read in 2017? The Upside of Your Dark Side by Robert Biswas-Deiner and Todd Kashdan recommended to me by the fabulous Liz Crowe, completely changed the my view on happiness and emotions. Love wins by Rob Bell, because who doesn’t need a message of love? What are you hoping to achieve in 2017? Completing my first research project and continue to design further research projects looking at wellbeing. As well as designing projects to get my PhD well underway. Tell me something else. Every day I get to put on my scrubs and say to some one “hello my name is Laura, I am on one the doctors working in the Emergency Department today, how can I help you?”, I remember how lucky I am, and what an amazing privilege it is to work serving others in this way. Keep doing your amazing work, you are all absolutely awesome! Best thing you did this year in medicine? New formation and leadership of a multidisciplinary trust wide anticoagulation and VTE committee; we’ve only been together less than a year but have already rewritten the local guidelines, changed the vascular ultrasound system to support whole leg and all day scanning, improved rapid access to upper limb scanning and negotiated treatment guidance documents through several sabre toothed management groups. This process has been a huge eye opener for me as a new consultant about the process of change management, collaborative engagement, managerial liaison and always trying to remember the patient at the heart of all. However, amongst the learning I feel like we have done a decent job thus far and made our patients lives considerably better. Roll on 2017…. Best conference and why? I liked the ICS SOA this year – it felt like they were really trying to capture the best of conference 2.0 but also watching carefully to make sure that they weren’t offering a platform to good speakers with little to say other than opinion. A fine line to tread and I thought they made a good fist of it. Lots of new ideas also which represents an exciting time where change is welcomed and encouraged in UK critical care medicine. I also caught up with loads of old friends and the layout encouraged social interaction, which is a big thing at conferences for me. Best paper and why? RESCUE ICP14 – great to see a widely discussed, high impact paper originating from a UK team and an important addition to the literature in this field. Also a well written and eloquent reminder of the fact that mortality is not the only outcome in clinical trials – any intervention that potentially increases the rate of severely disabled survivors should make you stop and ask yourself some challenging ethical questions. What book should everyone read in 2017? ‘Living on paper – letters from Iris Murdoch 1934-1995.’ We forget in this day and age how much you can convey with a simple hand written letter; it carries far more personal interaction than an email/text and implies effort and forethought on behalf of the sender. Can you remember when you got your last letter from a friend and how it made you feel? Remember that feeling, and give it to someone else this year. Also – my mum edited the book; she is 70 this year and I am super proud of her every day. What are you hoping to achieve in 2017? Striking the balance better between critical care, emergency medicine, research, VTE work and family life. And also re-learning the guitar. Tell me something else. I spent 48 hours making a gravy to go with my roast beef on December 28th when we had the in-laws round. The kids thought it was nice. My wife said it was alright. I thought it was amazing. I would encourage you all to spend longer making your gravies in 2017. It’s a great feeling when you get it right, and a good gravy can turn even the most lacklustre vegetable into a culinary triumph. What book should everyone read in 2017? ​The House at Pooh Corner AA Milne.​ Seriously. Do it. Tell me about it after. You’ll thank me. ​Tell me something else. ​I’m humbled to be part of this. I find it immensely encouraging and supportive. Best paper and why? Preox paper stating it’s crap15,16. Best thing you did this year in medicine? Some amazing clinical cases that I’m sure mean that some patients are spending time with their family this Christmas who might otherwise have not. That’s not me of course but a massive team effort from all in and around the Virchester resus room. Hopefully I’ve also helped colleagues achieve their goals in the department, o nline and clinically. Personally my ultrasound skills are improving and I think that’s making a difference. Best thing outside of medicine? Travelling round India. Amazing place and people with an inspiring heritage. Every year we take the family to a different part of the world to learn as much as possible about different cultures and beliefs. We’re off to Namibia in 2017. Best conference and why? 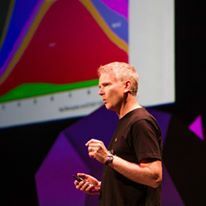 SMACC 17as every year it reinvigorates me back into medicine, it;s also the focus of my presentations for the year and a real driver to constantly improve. 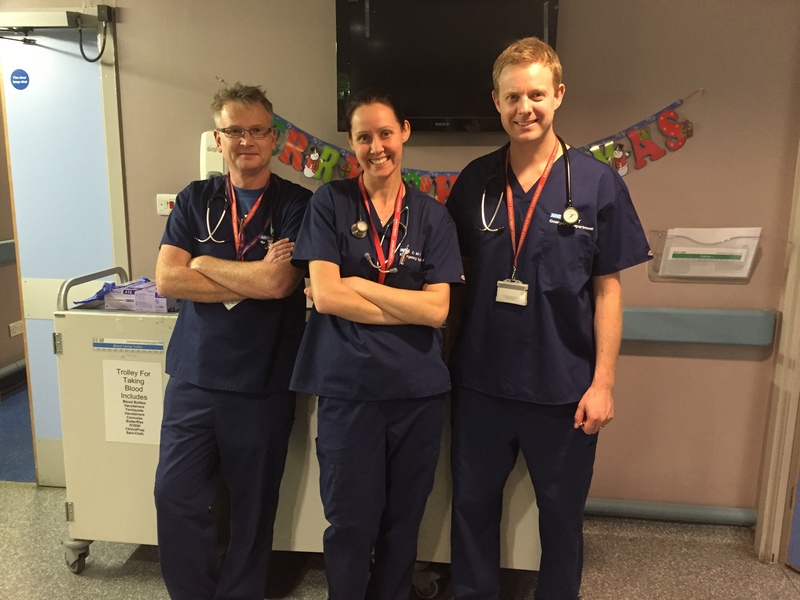 The enthusiasm at SMACC is infectious at a time when practicing emergency medicine is tough in the UK. It’s important to get reminded that what we do matters. SMACC also embraces the humanity of medicine and places it right up there alongside the hard science. No other conference does that as well. I’m also hugely grateful to Chris, Oli and Rog for the amazing opportunities they’ve given me and the team. Best paper and why? I’m going to go with one we published on Impact Brain Apnoea18. This paper takes an old concept and brings it right up to date and into the modern world of trauma care and in particular motor racing medicine. It’s a special paper because the authorship is a product of the #FOAMed world and especially so as John Hinds is a co-author. He supplied a lot of the information for the paper and this was his final posthumous publication. That makes this a special paper. What book should everyone read in 2017? Make it Stick as recommended by Rob Rogers. It’s changed the way I teach and has even influenced the training coaches at my girl’s hockey club! It’s a way of understanding why learning can be tough and why making learn tough sometimes works. If you’re serious about being a better teacher and/or learner then it’s worth a read. I’d also hugely recomment Julian Stodd’s blog and book The Social Leadership Handbook. What are you hoping to achieve in 2017? Next year is going to be hugely busy with conferences in Canada, Denmark, Sweden, England, Scotland, Germany, and Australia (twice). 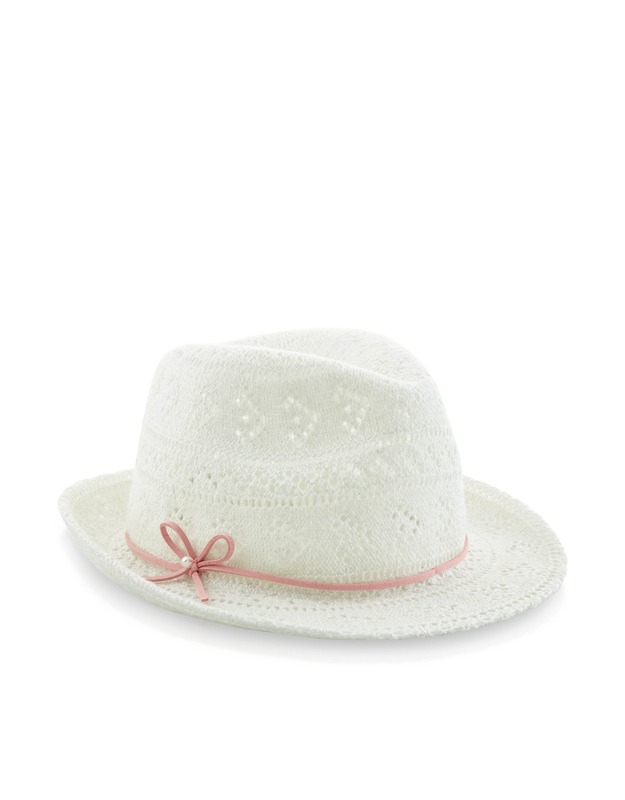 I may have forgotten one other…….. We are also off to Namibia and South Africa as a family in our quest to take the girls somewhere fabulous, interesting and different every year. Clinically I’m still loving emergency medicine and maintaining my interests in resuscitation and diagnostics. The St.Emlyn’s team is doing great work and we have a few ideas to make the world a better place. I am seriously considering a third research degree and may enrol on a PhD. Tell me something else. The St.Emlyn’s team are fabulous. 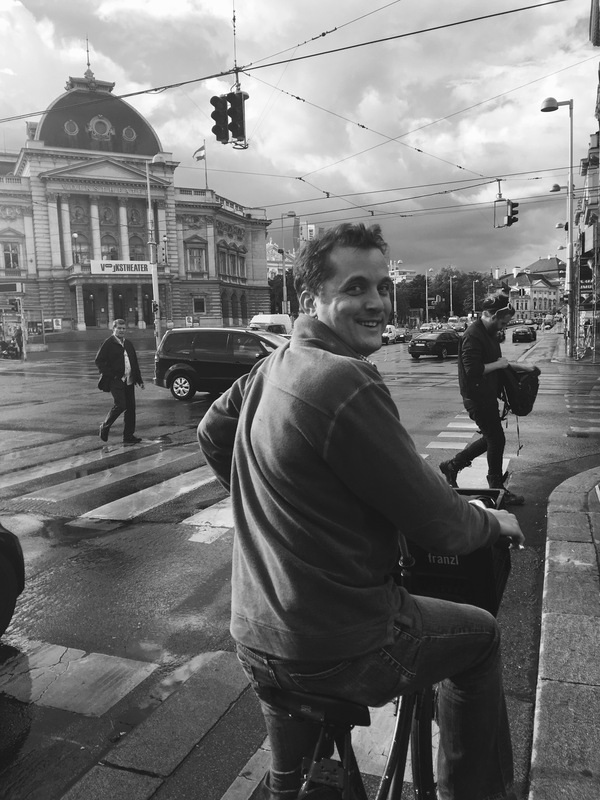 What you don’t necessarily see on the blog and the podcast is how the team ebbs, flows, supports, nurtures, develops and helps each other out clinically, educationally and professionally. It’s a real privilege be part of an amazing team. Best thing you did this year in medicine? Implement the T-MACS decision13 aid in practice at CMFT after 11 years of development, validation, trialling and refinement. There’s nothing better than seeing all the hard work actually leading to some benefit for patients and the hospital. I’ve learned a lot about innovation, managing change and medical devices in the process and still there’s a huge amount of work to do to get this off the ground at other sites. But, for now, I’m happy with what we managed to achieve in 2016! Best thing outside medicine? Spending time with my two kids, who are now 5 and 23 months old. Being with them as they grow up and develop in every way is just amazing. Best conference and why? EuSEM 201619. It was supposed to be my last year as scientific chair (although I now have another 3 year sentence). As with each of the years I’ve held that role, seeing the programme lived out with such inspiring international speakers and talks was terrific. I also really enjoyed giving my own talk on ‘ACS Diagnosis Version 2.0‘. Again, it felt like the climax of many years of hard work, finally being able to proclaim that what we’ve developed in our research is not just ‘something that might help in future’ but ‘something that should change the way we look at things and can actually help us today’. Best paper and why? John Cronin’s non-inferiority trial of dexmethasone v prednisolone for paediatric asthma is my favourite20. It was a very well conducted trial and the results are sufficient to affect my practice. What book should everyone read in 2017? Ah, books. I vaguely remember the days when I had time to read them. My recommendation is: don’t be like me! Read a story that has nothing at all to do with medicine. Forget everything and enjoy it. What are you hoping to achieve in 2017? To step up and become what I always believed an effective clinical academic should be: challenging unhelpful paradigms with good science, setting new directions and helping the next generation to come through and fulfill all their potential. Tell me something else. “Be the change you want to see in the world” (Ghandi). The St.Emlyn’s team in one of those rare moments when (mostly) together. 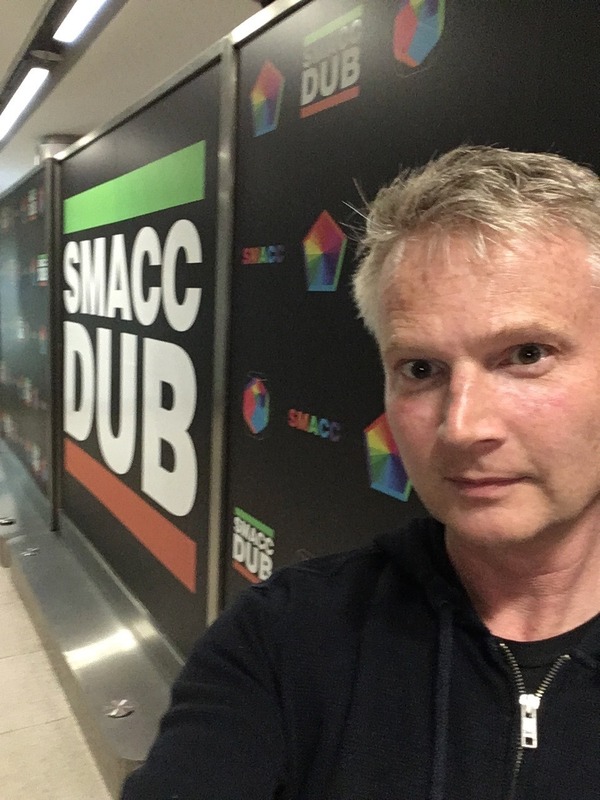 Taken at the SMACC conference in Dublin. Bringing the Outdoor classroom Indoors. St.Emlyn’s. 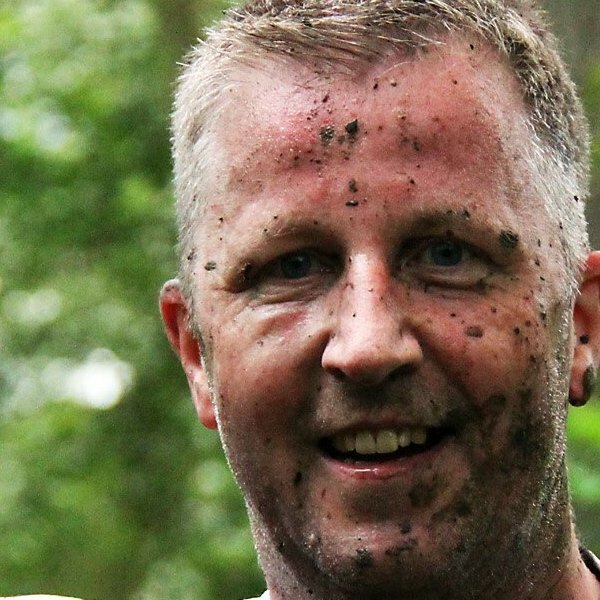 http://www.stemlynsblog.org/bringing-outdoor-classroom-indoors-meded-smaccforce-smaccdub/. Published 2016. Accessed December 31, 2016. Generation Why? St.Emlyn’s. http://www.stemlynsblog.org/generationwhy/. Published 2016. Accessed December 31, 2016. Women Speakers. St.Emlyn’s. 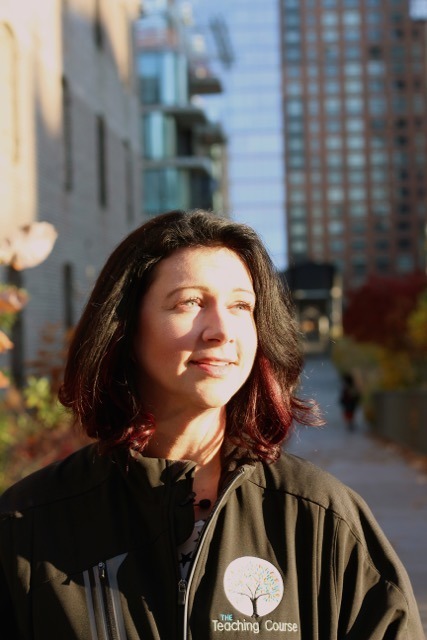 http://www.stemlynsblog.org/jc-women-speakers/. Published 2016. Accessed December 31, 2016. Gender, conferences and careers in EM. St.Emlyn’s. http://www.stemlynsblog.org/gender-conferences-careers-em-st-emlyns/. Published 2016. Accessed December 31, 2016. Irish EMS Gathering 2017. EMS Gathering. http://emsgathering.org/. Published 2016. Accessed December 31, 2016. The RINSE Trial. St.Emlyn’s. http://www.stemlynsblog.org/pre-hospital-therapeutic-hypothermia-the-rinse-trial-st-emlyns/. Published 2016. Accessed December 31, 2016. Apnoeic Oxygenation. St.Emlyn’s. http://www.stemlynsblog.org/apnoeic-oxygenation/. Published 2016. Accessed December 31, 2016. SMACC. Social Media and Critical Care. http://www.smacc.net.au/. Published 2016. Accessed December 31, 2016. EuSEM Congress. European Society of Emergency Medicine. http://www.eusemcongress.org/en/. Published 2016. Accessed December 31, 2016. Previous: Previous post: I think my child has a hernia: St.Emlyn’s. Next: Next post: 101 Reflective Lessons from a Year with Sydney HEMS. Part One: Education. Hi Adnane, Great to hear from you and thanks. Meeting up in 2017 would be fab but where? Do you have any travel plans for conferences and meetings? Thanks to all the team for the amazing work you do and the thought provoking work you provide for us consumers to devour. Some of the best tidbits I pass along to my team are inspired by this blog: decision making, risk factors, how millennials think(! ); just today (and I’ve lost count of how many times I’ve demonstrated this now) showing a colleague the benefits of LA prior to an ABG: that never gets old! A small but significant practice change inspired by you guys. I wish you all a happy and healthy 2017. 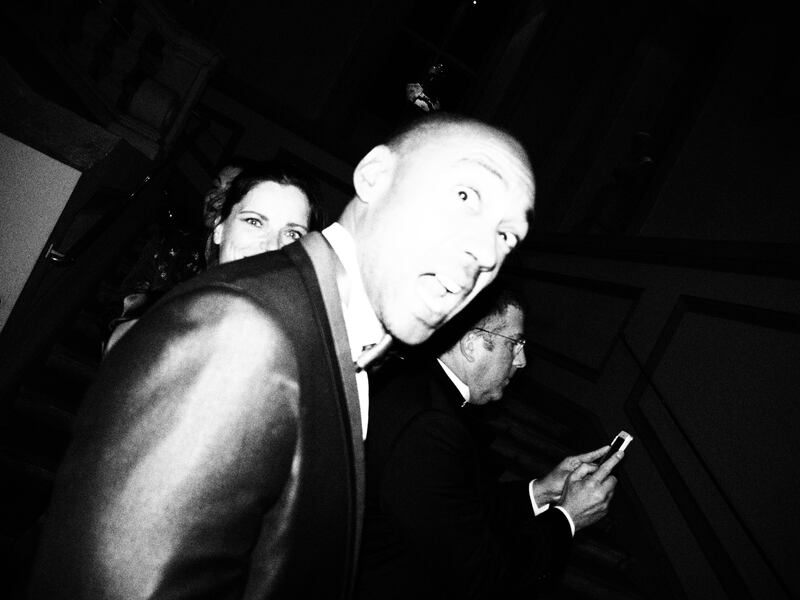 Hi David. I must admit to being a follower of you and your twitter feed. I get loads of useful stuff from it and really appreciate what you’re doing in your department. The best feedback we ever get is exactly what you’ve said here, when what we do on the blog spreads and improves patient care. Thanks for letting us know and best wishes for 2017. Thanks Andrew, I’ve got to say that the support we get from you is equally inspiring. You’ve done amazing things with DFTB and no doubt will go onto ever greater things in 2017. Can’t wait to hear more about the DFTB conference. Thanks Sara, hope you’re well. We’re looking to more fun blogging and podcasting in 2017. Lovely post. Keep it up guys. Ah sheesh thanks Rick. Most rewarding thing is having work appreciated by super academics/researchers/clinicians like you guys. I continue to love stemlyns and look at it almost daily.